Special Edition Iron & Wine Found Exclusively Inside Cursed Lands! I’ve been writing and publishing for over a decade and with those whirlwind ten years came 12 published novels, endless short stories, 6 screenplays, 2 awards, International accolade, and a full-time freelance writing career. I’ve taken all the necessary steps in order to become a real-life writer. But, like anything in life, it all starts somewhere, right? For me, that start was Iron & Wine. It’s the first book in my Iron World Series, and the very first book I ever had published. It’s an Urban Fantasy Romance about the ancient politics of Faerie and the mythological world of creatures that live hidden all around us. Vampires, shapeshifters, trolls, witches, you name it. The series has it all. I gained my first readers with this book. My first reviews. Got my ‘sea legs’ when it came to indie publishing. But I began writing it when I was a teenager, and it’s been nearly 10 years since it’s first released. It deserves a fresh overhaul to update the story, tighten up the writing, and refresh the face with a brand-new cover. Which is why the Special Edition of Iron & Wine is going to be released inside Cursed Lands, a gorgeous Urban Fantasy collection of over 20+ novels written by Award-Winning and Bestselling Authors! I could have launched the new passion project for $0.99 to the world and readers would have been happy with all the extra bonus content. But why not offer it at that price but along with 20+ other full-length novels for readers to enjoy? It’s like you’re buying Iron & Wine for a dollar and getting all the other books for FREE! So, what exactly are you getting with the Cursed Lands Collection that releases May 7th? Click here to pre-order the Special Edition of Iron & Wine in Cursed Lands right now! But, wait! That’s not all! 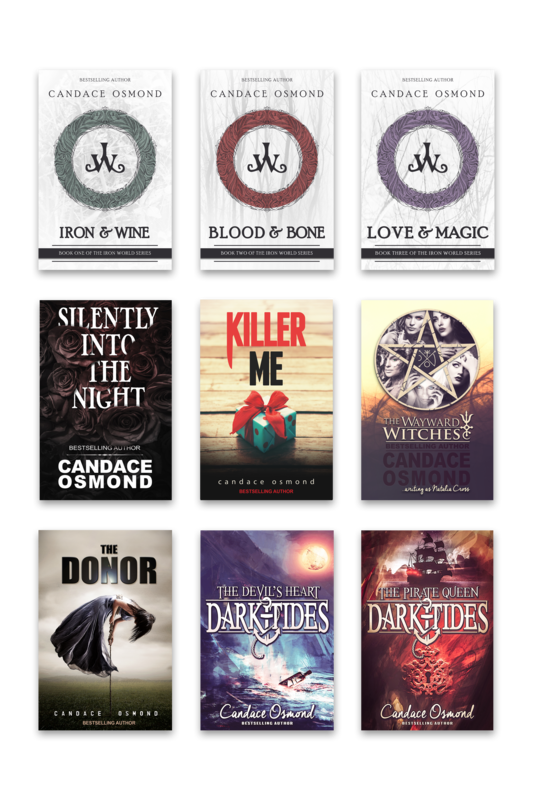 When you pre-order Cursed Lands for the awesome $0.99 price you get the Special Edition version of Iron & Wine and the bonus content, 20+ other novels by amazing authors, PLUS…15 totally FREE books right now! Just a thank you from the Cursed Lands authors and a little something to tie you over to May 7th! Get your 15 FREE books right here!